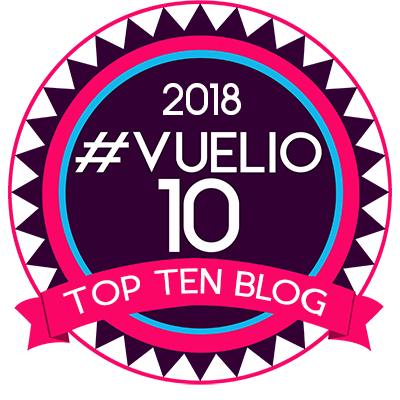 I didn’t grow up with Scalextric toys but my husband did and he was very excited when the girls received their very own My First Scalextric set. They both love cars and speed so this is a fun toy for them though my youngest is a bit too young to actually control a car. 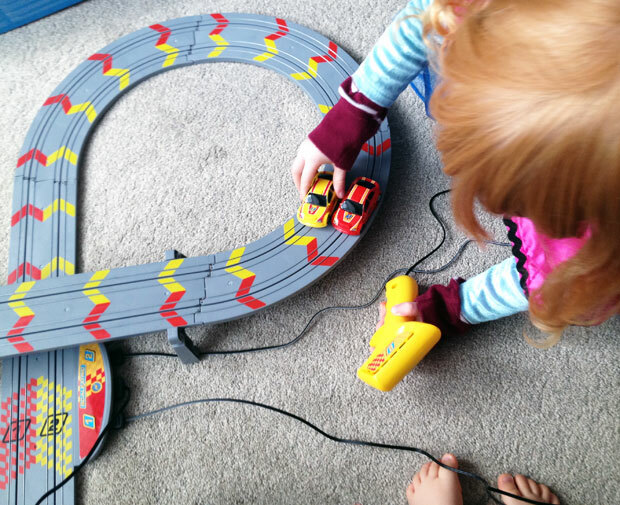 My eldest will be four years old in January so she’s a good age for playing with this Scalextric set that is aimed at younger racers from the age of 3 years and above. Its scale is 1:64. 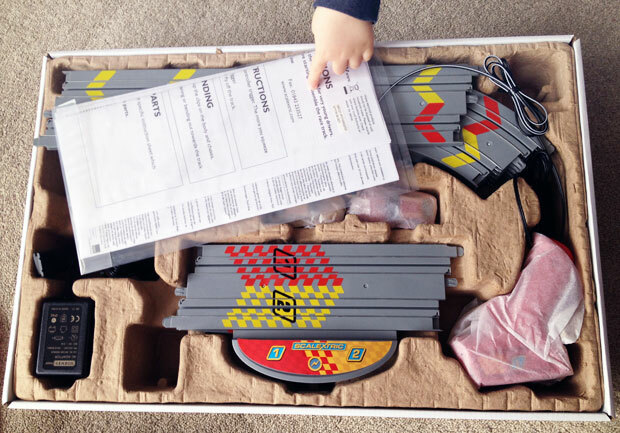 This set is a good starter set to introduce your kids to the world of Scalextric racing and it features everything you need to make a figure-of-eight track to race on. 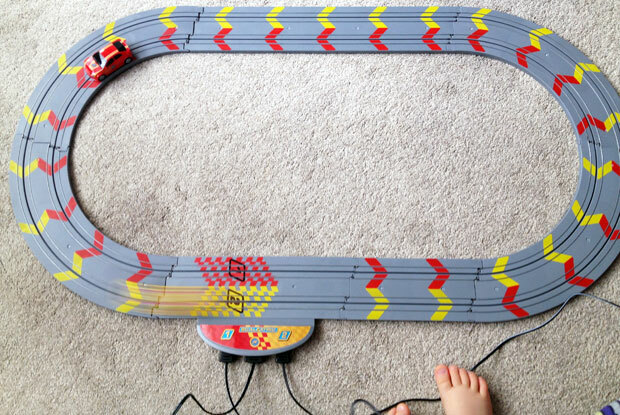 The track is 256cm long and you can of course make an oval shaped track too if you want. 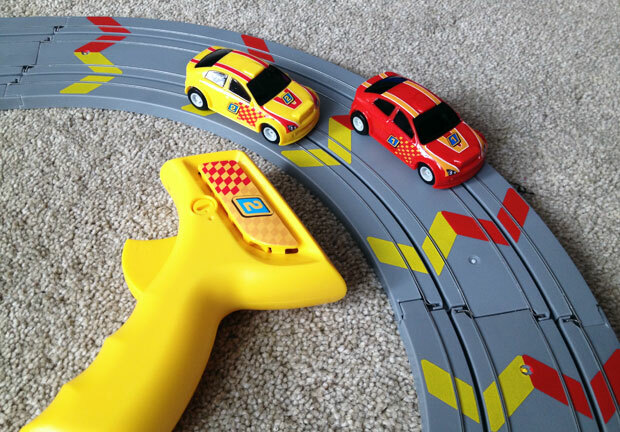 You get two rally cars and adjustable power hand-controllers, colour coded in red and yellow to match the chevrons on the circuit. 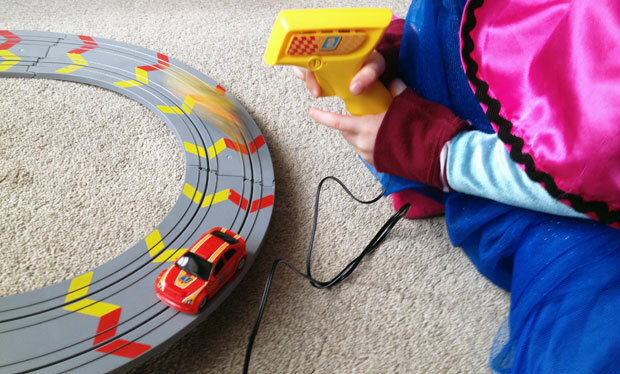 The Magnatraction technology helps to keep the cars on the track and the variable hand-controllers allow the speed of racing to be adjusted depending on skill level. You might need to slow down on the corners to avoid falling off but most of the time the cars stay on even when using the highest speed. The track was quite easy to assemble though I thought it felt a bit flimsy. 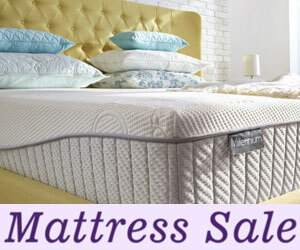 I needn’t have worried though as it’s very sturdy when put together and the parts are super resistant. 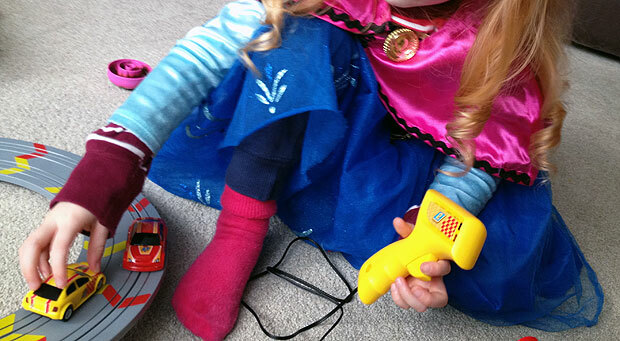 You plug the track into the mains power supply which is great as battery powered toys can be quite annoying as batteries always run out! 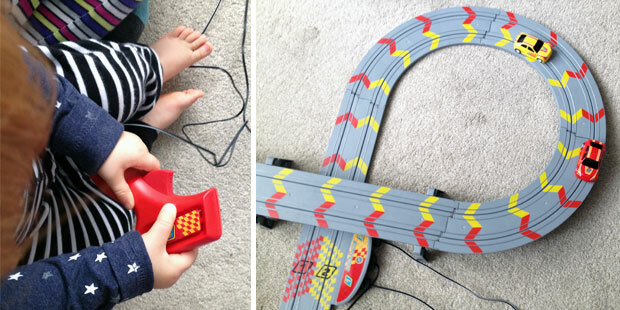 You do have to find somewhere to sit in your home near a plug socket though as the cable is not very long and you need to place the track so that the cable and the cables for the controllers don’t get in the way. You need an area of 108 x 61cm to fit the track. 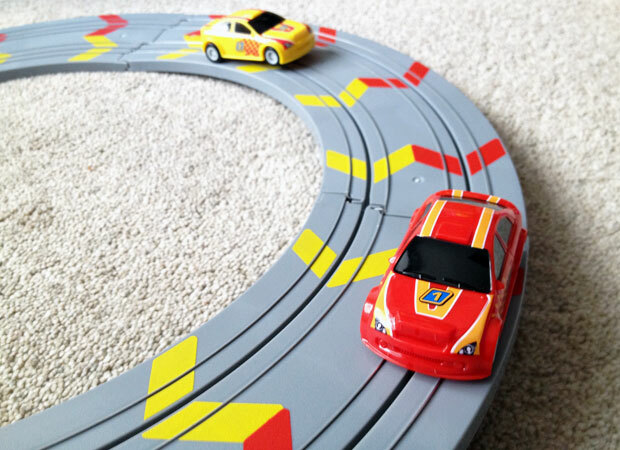 Once your track is set up, you simply put the cars on their tracks and start racing! 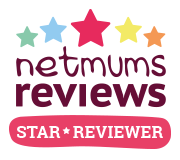 It’s a fun toy that keeps my eldest entertained for ages and she keeps asking to play with it so it comes out a lot. It would make a good Christmas gift for young kids who love cars! The speed is definitely my daughter’s favourite aspect of this set. I love that it’s easy for her to use, quick to set up and that it doesn’t take up too much space to store when not in use. I also like that the set helps my kids develop their hand/eye coordination, manual dexterity, three-dimensional play and risk/reward thinking. 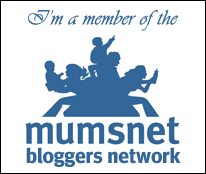 It’s also helps develop motor skills and face-to-face interaction as kids play together. 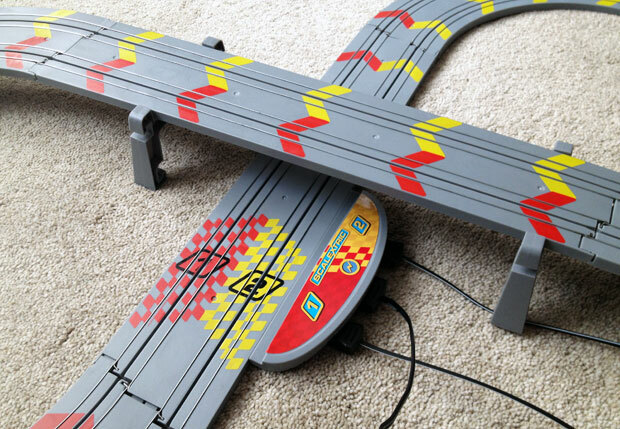 My First Scalextric is fully compatible with the Micro Scalextric range of sets and cars so you can extend you track for more possibilities and add more cars too. The James Bond one looks amazing! 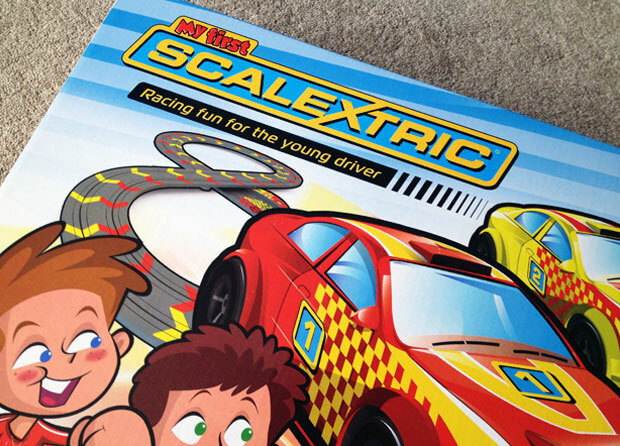 You can buy your set from the Scalextric website here or from other shops that sell toys like Amazon.co.uk.